You are here: Home / Chili Pepper Substitutes / What’s A Good Sriracha Substitute? It’s not often that you’ll need a Sriracha substitute due to this hot sauce being hard to find. After all, it’s one of the most popular hot sauces on the planet and stocked by most grocers, big or small. But what if you need a change of pace from the rooster sauce? Or what if you’re simply out of it at home and don’t want to run to the store? What’s a good Sriracha substitute when all you have is your kitchen cupboard? Let’s break down your best bets. Sambal oelek is hands down your best bet if you’re looking for a Sriracha alternative in a major grocery store. 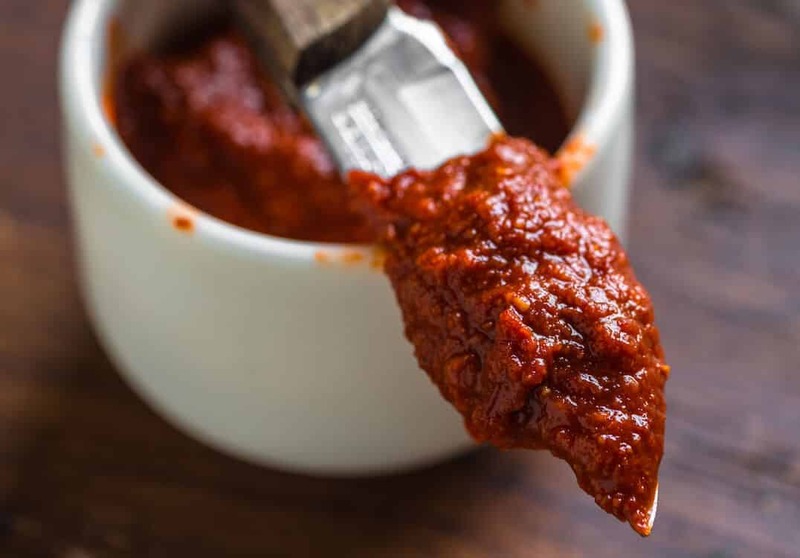 It isn’t carried as widely, but this chili paste is growing in popularity. A variety of sambal oelek is made by Huy Fong Foods, the same producer as Sriracha, so stores are apt to stock some in the international aisle. Sambal oelek is thicker and simpler in terms of ingredients, but it packs a similar punch in the heat department. You won’t get the garlic undertones as you do with Sriracha and Sriracha’s mild sweetness is matched by a very mild vinegar tang in sambal oelek. You can quick fix on both of these flavor issues with dashes of garlic powder and sugar, but for most recipes that won’t be necessary. The strong chili pepper flavor is still there and strong. 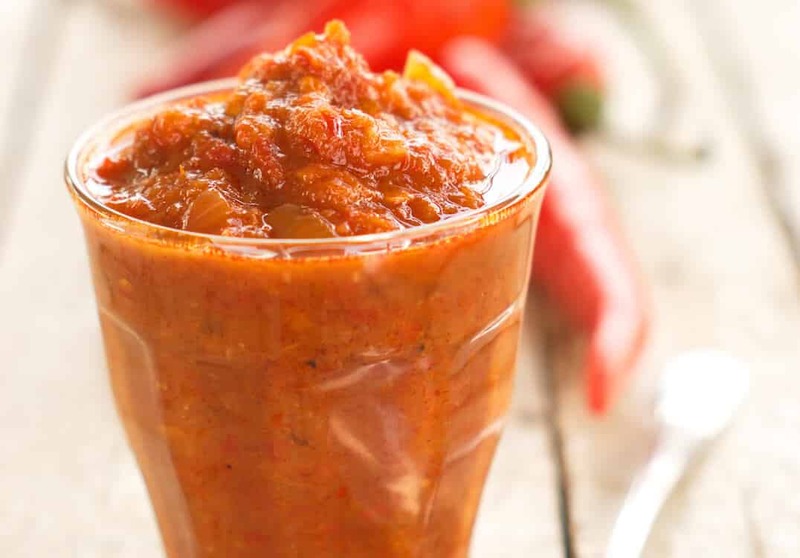 If you need more of a sauce than a paste, simply blend the sambal oelek with a little water to get to the consistency you prefer. You can also make homemade sambal oelek if you have the fresh chilies and some extra time on your hands. There’s a big caveat here. Sriracha is a unique hot sauce – thick and big on hot pepper flavor (not just the heat) without a lot of spices between you and the chili. Many hot sauces and chili pastes take the opposite approach. For instance, Louisiana hot sauces (like Tabasco) use a large amount of vinegar for that lip-smacking tang. And harissa (another chili paste) utilizes a wide variety of exotic spices in its making. So simply picking up another hot sauce or chili paste isn’t an easy substitute for Sriracha. They can be wildly different in terms of flavor, consistency, and overall heat. Consider your recipe and read the labels on the hot sauces or chili pastes you are considering. If the ingredients list is long and vinegar shows up early in the list, it’s likely not a good flavor match. 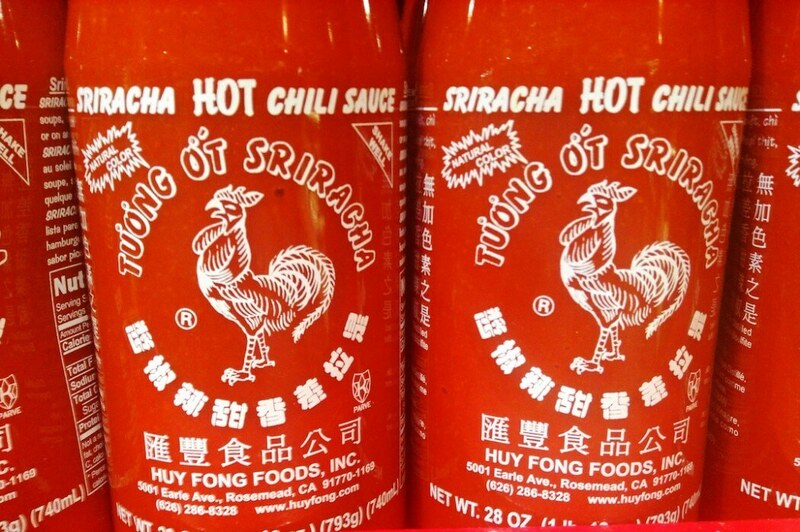 Note: Other companies beyond Huy Fong Foods make Sriracha hot sauces, so keep an eye for those on the shelves if you are looking for a replacement. They’ll be the closest in taste, consistency, and heat. If you are all out of Sriracha and you simply need spiciness, you can opt for the spice rack staples. Crushed red pepper and cayenne pepper powder obviously aren’t hot sauces; these are no doubt culinary emergency options and as simple as it gets. But when a recipe doesn’t really need hot sauce, just the heat, both work. 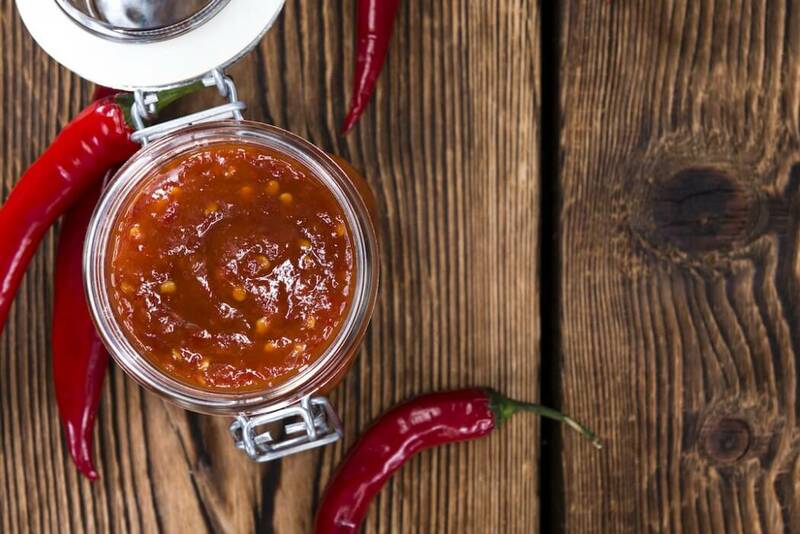 If you’re looking for a little culinary adventure, cooking up a homemade Sriracha sauce is easier than you may think. Sure, it may take more time than running to your local grocer (and you’ll need fresh chilies on hand), but the experience is well worth it for those that love to cook with spicy foods. See our homemade Sriracha recipe to get the process.